The episodes are great and helpful. The only problem with it is the intro is louder and jolts me awake if I have two playing in a row. That defeats the purpose to me. Personally I would like them more and actually pay attention if it was a quiet meditative voice he uses the whole time. The message would be sent without disturbance. Great concept, but normally I have to open my eyes & Start a new one or rewind what I was listening too which only delays me going to sleep even more. I use these for when my husband is away for work, I canât fall asleep alone very well, it used to take me 1-2 hours to fall asleep, now itâs 30-45 minutes so thatâs still a win for me, but with a 15-20 minute episode itâs still not enough. Also, I donât appreciate being hounded for 2 minutes to give money, itâs like seriously begging for money, completely overdone & makes me want to contribute even less in the manner they they just beg & beg & beg. I donât like the woman at the beginning of the new episodes, please make the entire episode Allen. Also, why was the episode that counted down from 10...titled something like âall about youâ with â(back by popular demand)â taken down?! Not cool guys. Even when Iâm in pain, these guided meditations always help me fall asleep. I recommend them to everyone! Finally 8 hours of sleep! First night trying this and it worked! Thank you! Stumbled upon this before a nap and my goodness! His voice is so soothing and i really did feel my entire body relax. About 6 minutes into this I felt like I was right on the beach and my body felt like it was floating and my mind could only hear the ocean waves. I have never felt that before and it was amazing. Such a great way to release tension and stress from your mind. When I opened my eyes I felt more alert and happy. Definitely am going to check out more of his podcasts! This podcast lulls me to sleep when I used to toss and turn. The combination of my Bluetooth sleep mask (Amazon has a few options) and Tracks to Relax help me go to sleep every night. I subscribed one night because I had been sleeping poorly for a week , I slept great all night! I woke up feeling so wonderful! Helps me to relax & fall asleep. Only way to eliminate the distracting sales talk is to sign up for patreon. Not interested in doing that. So, these are only moderately effective. I absolutely love this podcast. Ive been relying on it for months to help me relax before bed. The narrator has the most incredibly relaxing voice and I appreciate the level of skill and intention that goes into this. Truly thankful for this work! Iâve been listening to this podcast for a little over a year and I love the content. It works wonders and puts me to sleep. But the fact that there is an Ad asking for money on EVERY episode is annoying. Plus some of the best episodes have been taken down...I only realized this after getting a new phone and trying to play episodes saved to my cloud that wouldnât play. All that to say. I love the podcast but Iâm really disappointed in how itâs being handled for the past few months. *** update*** the pleading to join patron is getting worse. To avoid the ads skip the first 2 minutes of EACH podcast as the ads have been added to each episode. So disappointing. I do not have a hearing problem. His voice is soft and soothing. Sad. I had very low expectations. I am plagued with sleep problems. I tried this podcast on a night destined to be a bad one. It worked! I canât sleep without Alanâs voice! I found Tracks To Relax maybe a year ago and I was only listening to the free meditations and I thought they were really soothing. So he has a Patreon page and I signed up for the premium $5/month account. Now I canât sleep at night without hearing his voice! I get so excited when thereâs a new one because I know Iâm going to sleep really well, but there are plenty of old ones that are great too. Not only is his voice soothing, but he uses great meditation and psychology techniques to really put your mind to rest. I canât say enough great things! Iâve recently been diagnosed with Hashimotoâs and my anxiety and panic was out of control. After many sleepless nights I turned to Tracks to Relax, and was instantly calmed, and relaxed. I highly recommend using this is as relaxation and coping tool. This podcast is amazing. It is so relaxing - hypnotic even. I can put it on and be lulled to sleep within minutes. Normally it takes me a while. Even if I wake up in the middle of the night and feel like I canât fall back to sleep, if I put one of these on, itâs very easy. I fall asleep to it every night! I donât know why everyone is complaining about the ads in the beginning. Just fast forward dummies! Problem solved! I donât use the app, I just subscribe to the podcast. I like his voice, it puts me to sleep almost immediately now. I keep having to listen to the same ones cause I donât remember what they were about I fall asleep so fast. I do miss the countdown though. Please bring it back! I resort to this app only when Iâm having a really hard time falling asleep and itâs 3am, or if my body really hurts. If you experience tension, try this podcast. When I had severe carpel tunnel/shoulder pain at night which kept me from falling asleep, these podcasts where the only things that eased my body so I could sleep. Iâve tried many other ones, this one is the best and the only one I continue to use regularly. Happy sleeping! Whenever I canât fall asleep or am struggling to get tired I turn this on and I fall asleep so fast. Thank you so much for making these. I struggle from anxiety and these calm me down enough so I can sleep peacefully.Update - ð­ð­ I canât fall asleep like I use to why did you take away the rain and countdown meditation? This is horrible!!! Its so boring that I canât get to sleep! This is an extremely calming podcast. Whenever I need to relax I use this podcast works like a charm. I love it!! I became a member because I didn't want to hear all the advertisement at the beginning of the podcast. Well, that was a waste of time and money bc there is still an add at the beginning telling about the Patreon app which i am already using. So whatâs the point of becoming a member? Also, the app is really not user friendly whatsoever. I am disappointed! That being said, I love the content of the podcast itself, just not the ads! 1st episode I listen to and Iâm hounded (in weird sleep voice) to give money. So I love listening to these to fall asleep, they work WONDERS. His voice is so soothing. But I have a funny story. So last night I was listening to one and fell asleep & my boyfriend comes to get in bed much later. And there was one playing and he asked me to leave it on because he wanted to try it out. So I guess later in the night the guy started talking again & my boyfriend wakes up, jumps out of bed ready to fight some strange man in our room! He forgot we were listening. It was so comical ð just thought Iâd share! Thanks for the amazing content! Wow! So much better than a sleeping in pill! I have never made it past the first few minutes of any of these! Hypnotist Alan has the most soothing voice ever! I have nightmares and get so scared sometimes, but the sound of his voice in these stories and meditations just stops it so I can sleep all night. Thank you for doing that. I can see from reading the reviews that I am not the only one that has been helped by you. Since starting grad school Iâve had a hard time falling asleepâ-I discovered this podcast a few weeks ago & it has become a bedtime ritual. I fall asleep quickly & feel rejuvenated in the morning. Thank you!!!!! Iâm so grateful for this!!! I have been falling asleep with in MINUTES!!!!! I typically will get in bed at 11pm but wonât fall asleep until 5.... then have to wake up a couple hours later. I have been getting an amazon DEEP sleep! I can listen to this podcast when Iâm sick and having bad body pain and will always be able to put it out of my mind and fall asleep comfortably. This podcast is AMAZING. Iâve tried other sleep meditations and this one tops it all. His voice pulls you in and is the perfect tone for sleeping. I set a sleep timer and Iâm out in 15 minutes. Thank you for this! Iâm a full time nursing student & serve in the USAF-reserves and my mind is constantly running in addition to feeling stress and pressure. It was preventing me from falling asleep. I was looking for meditation podcast stations and followed 5 podcasts, realizing that Iâm always listening to this podcasts, I stopped listening to the others and now I have to to listen to this podcast in order to fall asleep. Love this podcasts and I recommend it, itâs super good for something free. I have a hard time sleeping from chronic pain and this works every time. I wake up so rested!! I donât do well with overly chatty sleep podcasts, or those goofy ones where the host literally whispers, especially when the writing is bad. This is simple, straightforward, and w a voice like butter. ...I would like all the podcasts from this subscription to play back to back all night BUT the intro to each is sooo LOUD that it wakes me up!!! Two nights so far and Iâve gotten not good, but GREAT restful, REM dreaming sleep! I subscribe on Spotify - this has been a lifesaver for me as I often struggle with anxiety and have trouble falling asleep or not feeling rested and grinding my teeth if I do sleep. This podcast has so many meditations to choose from; itâs really helped me fully calm my mind before sleep. Very relaxing and will help you go to sleep quickly and almost loose track of time. I think it is very peaceful and really helps me sleep. Asher one about change the next day totally forgetting the mediation yet I still completely fixed bad habits and improved myself. I highly recommend it. 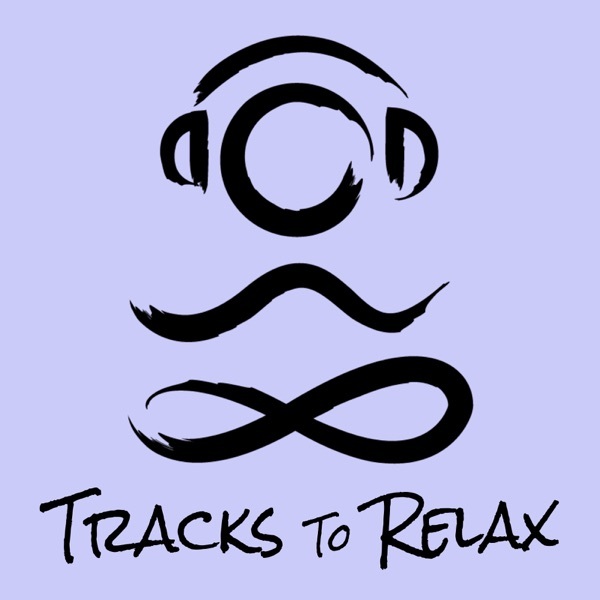 Tracks to Relax has become a staple in my nightly routine. There are plenty of free podcasts, ranging from positive affirmations to quick sleep guide. This channel is the best to help you get to sleep. The narrators voice is perfect to lull you off to sleep. You want quality meditations that work?! Check this podcast out!! I listen to the âtime for you guided sleep meditationâ almost every night - I find it to be very relaxing, and unlike many other sleep podcasts, the sound is consistent and calming. I used to have a lot of trouble settling down and falling asleep, but these podcasts have really helped me fall into a deep sleep quickly! I not only fall asleep quickly, but I find that I have been getting better quality sleep since listening to the guided meditations! This podcast offers a variety of soothing meditations.Each one has something unique to offer but they all have one common thread...to help you relax and get some sleep.